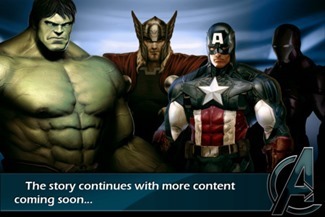 Alright, so Avengers Initiative wasn't the earth-shattering mobile experience that its marketing made it out to be. In fact, according to Matt Demers' review, it's an Infinity Blade ripoff that only true believers will really enjoy. But for those who finish all their comic reading on Tuesday and are looking for anything more to scratch that superhero itch for the rest of the week, there's a big update to the game. Captain America is now available as the second playable character. If you've already played through Avengers Initiative, go to the upgrade store and add Episode 2 to your inventory for 10,000 in-app points... or shell out a buck's worth of real cash for the equivalent amount of in-game currency. 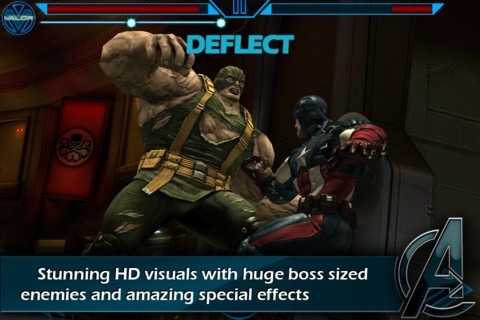 Captain America comes with his own set of missions, with the aim of rooting out a mole in SHIELD. This is the first of (at least) three expansion packs for Avengers Initiative, with the next two set to star Thor and Iron Man. Unfortunately, the cats at Marvel Games haven't gotten around to updating their compatibility issues, so there's still a lot of Avengers fans who can't play the game even if they want to.